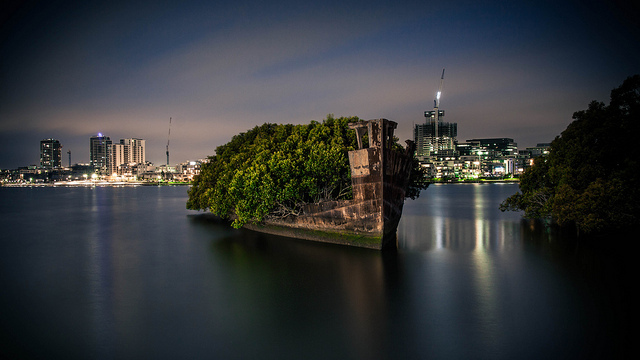 In Homebrush Bay, Sydney, Australia you can see a remarkable floating forest. 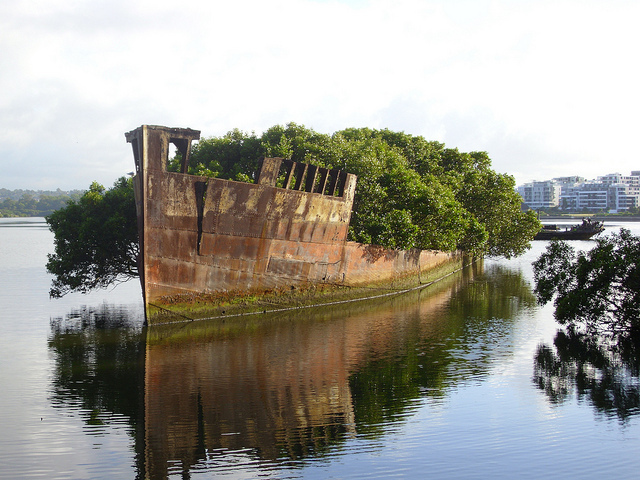 The remains of an abandoned transport ship, a 1911 steam collier, is slowly being overgrown by a forest. Humankind has helped. 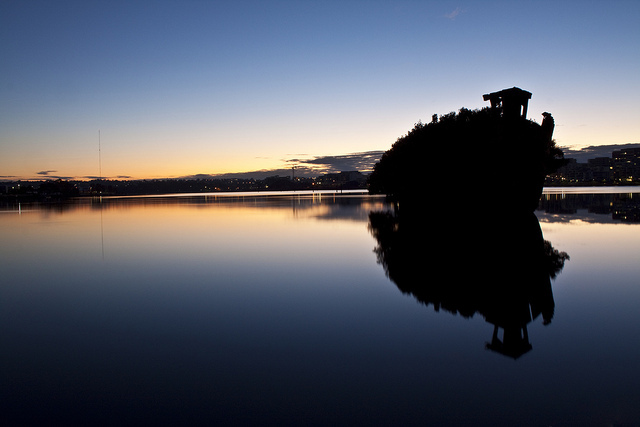 From 2008 to 2010 there was an effort to remove chemicals from Homebush. These incredible photographs come from Bruce Hood, Andy Brill and Stephane & Eva. The set was first made public by This is Colossal. 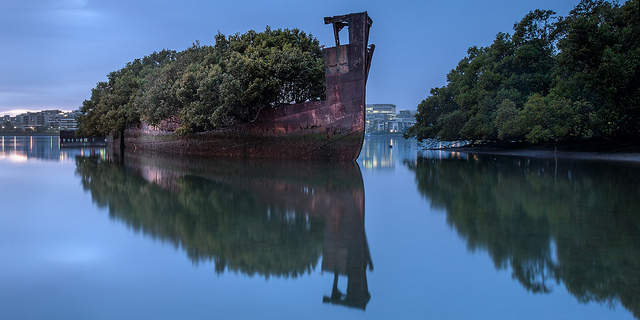 There are many other amazing photographs of nature reclaiming wrecked ships. Do you have any favourites? Why not share them in the comments below. Really tempted by a holiday in Australia? Sites like eBookers.com and Expedia are ofen helpful starting points. 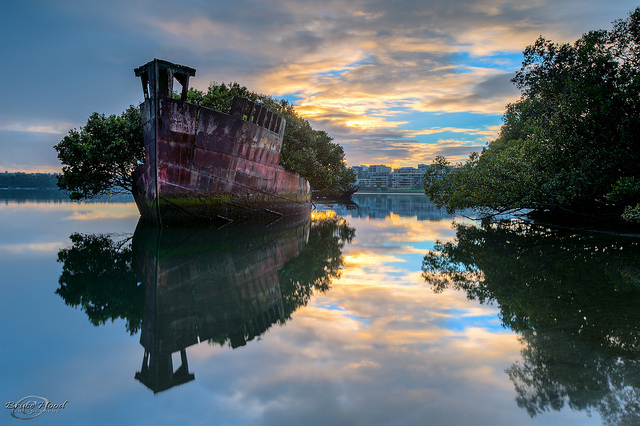 One of my favourite travel alternatives is a site called Responsible Travel, all about sustainable holidays, where you can book trips like a Great Ocean Walk, a Head of Bight whale tour or even a Tasmania wildlife holiday.